An epic adventure and passionate romance unfold against the panorama of a frontier wilderness ravaged by war. Academy Award(R) winner Daniel Day-Lewis stars as Hawkeye, rugged frontiersman and adopted son of the Mohicans, and Madeleine Stowe is Cora Munro, aristocratic daughter of a proud British Colonel. Their love, tested by fate, blazes amidst a brutal conflict between the British, the French and Native American allies that engulfs the majestic mountains and cathedral-like forests of Colonial America. $10.976 million on -unknown- screens. Even a stubborn old jerk like myself can change his opinions on occasion, and I must admit that I’m starting to reassess my thoughts about director Michael Mann. Most of his work seems to get strong reviews, but I’ve rarely found much of it to be engaging. Something about his films left me cold, and I always thought he was distinctly overrated. The first sign that a reappraisal came when I re-examined Heat. I didn’t much care for the movie when I saw it during its theatrical run, but my next viewing showed that it had more to offer than I’d originally anticipated. That led me to believe that maybe I’d been wrong about some of Mann’s other works. Foremost on the list of Mann movies I disliked was 1992’s The Last of the Mohicans. 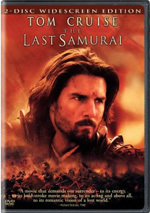 I remember that this flick also received high praise but I thought it was essentially a disaster, mainly due to the shallow nature of its emotions. I found it to substitute broad hysterics for true depth and that the film lacked any heart that wasn’t artificial. I’ve tried again a few times, but the intervening years have not made me better appreciate Mann’s telling of this epic tale. Admittedly, I don’t dislike Mohicans as much now as I did in 1992, but I still don’t care for the movie; it continues to feature all of the weaknesses I saw back in the early 1990s. Probably my greatest complaint concerns the characters. Frankly, they seem awfully thin and poorly-drawn. Hawkeye (Daniel Day-Lewis), our protagonist, comes across as little more than a stereotypical quiet and strong frontier he-man. Day-Lewis appears to be channeling John Wayne for much of his performance, as he delivers many of his lines with a Duke-esque drawl. It doesn’t work, and I think his acting lacks depth or subtlety. However, other than Day-Lewis, we barely get a chance to learn much about any of the characters. Probably the most compelling of the lot is the film’s nominal villain Magua (Wes Studi). His character actually shows some nuance and Studi makes him seem alive and compelling. He may be the bad guy, but at least he shows some spark; all of the others seem dead in the water. That covers virtually the remainder of the cast. Madeleine Stowe looks lovely as ever as forced love interest Cora but her personality never comes through at all; she’s just a pretty presence with little to distinguish her. That still betters secondary characters Alice (Jodhi May) and Uncas (Eric Schweig). They barely register in their roles; I think they’re onscreen for much of the film but they do so little to distinguish themselves that it’s hard for me to say. Mohicans also suffers from Artificial Romance Syndrome. Movies like this just love to follow the old Harlequin romance novel concept in which a woman meets a hunky larger-than-life wildman who sweeps her off her feet and is the love of her life. Generally these guys are jerks - ala Brad Pitt’s Tristan in Legends of the Fall - but some are true heroes. Hawkeye falls into that category, and that aspect makes the movie even less palatable. Frankly, I can’t stand that “deep, everlasting love at first sight” nonsense. Obviously a lot of people enjoy the fantasy aspects, but they turn me off every time. I don’t insist that movies remain perfectly logical and true to life, but I simply dislike this form of fake tripe. Romance movies don’t do much for me in most cases, and the forced and phony nature of this one’s love affairs puts it even more firmly into the “yuck” camp. The Last of the Mohicans has some moments, most of which concern its battle sequences. Mann is a good action director and he shows strong handling of these visceral and well-staged scenes. Unfortunately, they’re too few and far between, as most of the movie seems devoted to exposition and alleged character development. Despite those attempts, the participants remain thin and fake, and I find Mohicans to offer only sporadic enjoyment at best. 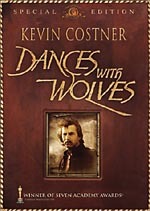 Note that this Blu-ray offers the “Director’s Definitive Cut” of the film. That comes after the “Director’s Expanded Edition” from 2001 and the plain old “Director’s Had to Put Something On the Big Screen Cut” from 1992. I don’t know the film nearly well enough to discuss the changes. IMDB lists alterations for the 2001 cut but hasn’t updated to document what’s different about the 2010 edition. The Last of the Mohicans appears in an aspect ratio of approximately 2.35:1 on this Blu-Ray Disc. While much of the movie looked very good, concerns did arise. My main complaint related to the dimness that affected the image. Nighttime shots ranged from murky to downright impenetrable. For instance, during a scene between Hawkeye and Cora about one-fourth of the way through the film, I could barely make out anything other than vague blobs. I fully suspect that director Michael Mann wanted the movie to be dark, but I think that he went too far. “Moody and atmospheric” would be fine, but a film during which it became quite difficult to discern the action for significant amounts of time turned into a chore to watch. Although darkness was my main problem, a few other minor issues also arose. Occasional wide shots seemed a little soft; those elements never became terribly ill-defined, but they could appear tentative. Most of the movie showed good clarity and delineation, though, and I noticed no jaggies, shimmering or edged haloes. Source flaws also failed to distract during this clean transfer. Mohicans stuck to rather natural palette, and these tones looked well-rendered. Colors were very true and realistic as they presented nicely lush and lovely hues throughout the film. I found the warmth of the colors to seem impressive, and they acted as the image’s highlight. Ultimately, much of the flick looked good, but the murkiness of so many shots – intentional or not – made this a problematic presentation. The DTS-HD MA 5.1 soundfield of Mohicans seemed mainly oriented toward the front of the spectrum but it provided a fairly engaging experience. The spread across the forward speakers was nicely-defined and accurate, and the mix placed sounds neatly within their appropriate locations. Audio also blended together smoothly and effectively for most scenes. The surrounds kicked in some general reinforcement of the music and effects, but they weren’t as active as we’d expect from a more recent film. Nonetheless, I thought the soundfield provided a solidly involving experience. Audio quality was usually fine. Dialogue generally appeared distinct and crisp, but definite signs of edginess crept in at times. The speech remained consistently intelligible, though, and wasn’t bad. Effects appeared good. The various battle elements demonstrated nice clarity and heft, as they showed positive reproduction of the material. Music stayed clear and dynamic at all times, as the score offered nice range and positive depth. The soundtrack worked well enough to merit a solid “B+”. In terms of extras, we launch with an audio commentary from director Michael Mann. He presents a running, screen-specific look at what inspired him to take on the project, story and the adaptation of the source, cast, characters and performances, historical elements and period details, sets and locations, music and cinematography, and a few other production notes. Mann offers a pretty good mix of history and filmmaking info here, though he clearly favors the former; I’d estimate at least two-thirds of the track focuses on historical background. While I’d like a bit more about the creation of the movie, we still get enough to satisfy. Mann creates an informative chat here. 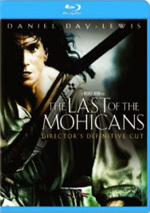 In addition to two trailers, the disc also comes with a featurette entitled The Making of The Last of the Mohicans. It runs 42 minutes, 42 seconds and includes notes from Mann, historian/Onandaga faithkeeper Oren Lyons, casting director Bonnie Timmerman, trainer/technical advisor Colonel David Webster, technical advisor Capt. Dale Dye, SPFX coordinator Tommy Hunter, production designer Wolf Kroeger, director of photography Dante Spinotti, composer Trevor Jones, and actors Daniel Day-Lewis, Madeleine Stowe, Maurice Roeves and Wes Studi. “Making” looks at the film’s roots and development, story/character topics, historical elements, cast, training and performances, Mann’s work during the shoot, military and period details, sets and locations, costumes, photography, and music, and some overall thoughts about the movie. Despite a little repetition with the commentary, “Making” offers a quite satisfying show. I feared it’d be a simple “EPK” style piece of nothing, but it gets into reasonable detail. It’s great to see so many of the participants return – I sure didn’t expect Day-Lewis to show up – and that helps turn this into a fine program. While I definitely think more of The Last of the Mohicans now than I did in 1992, I still don’t like the film. It’s a superficial and overwrought package of romantic nonsense that featured a series of dull and drab characters. Some good action sequences help redeem it somewhat, but I continue to dislike the movie. 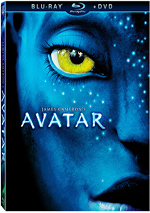 The Blu-ray offers erratic picture, generally good sound and two solid supplements. This is an acceptable Blu-ray for a movie that continues to leave me cold.